The cloud-agnostic open source platform IronFunctions, from Iron.io, reflects a more nuanced approach to hybrid cloud that is emerging in the enterprise market. Many large businesses are attracted to cloud hosting solutions because of the speed of innovation and the available range of tooling for distributed application architecture design. But both new and continuing concerns around the security of cloud storage and growing worries around a potential Amazon Web Services monopoly with its Lambda service are bringing many companies back to re-evaluate the ideal mix of on-premise and cloud as a way to manage their infrastructure stack. 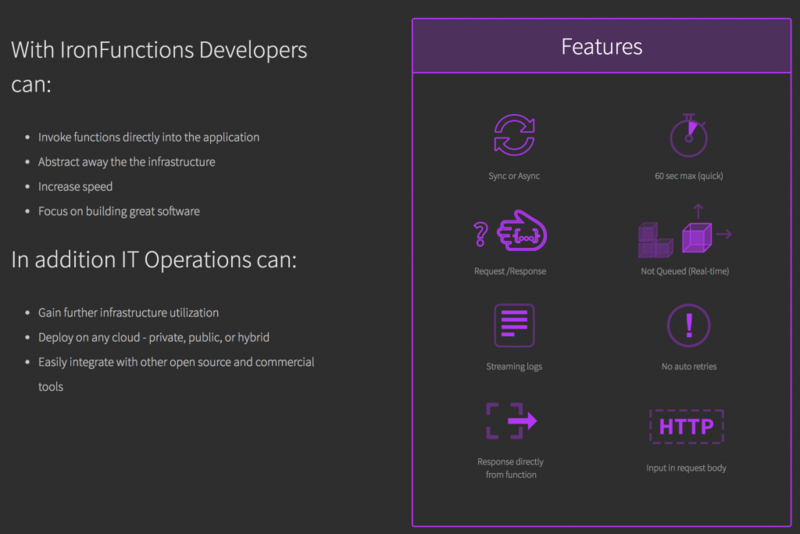 IronFunctions offers a serverless platform where businesses can run applications and workflow patterns on private, public, and hybrid clouds. Which, bizarrely, means serverless can be run on-premise (that is, with servers). Here, the tooling means that enterprises can treat their own data centers like private clouds, gaining many of the cloud hosting benefits around speed of development and reduction and automation of DevOps workloads, but on their own hardware. Reeder sees several drivers for this that mirror discussions many enterprises are having at the moment. The first driver is about security concerns. Many enterprises are still reluctant to transfer customer and business data to cloud hosting providers. They want to manage their data on-premise but have the advantages of cloud in terms of innovation capacity, speed of development, and capability to design very specific solutions for their business case. 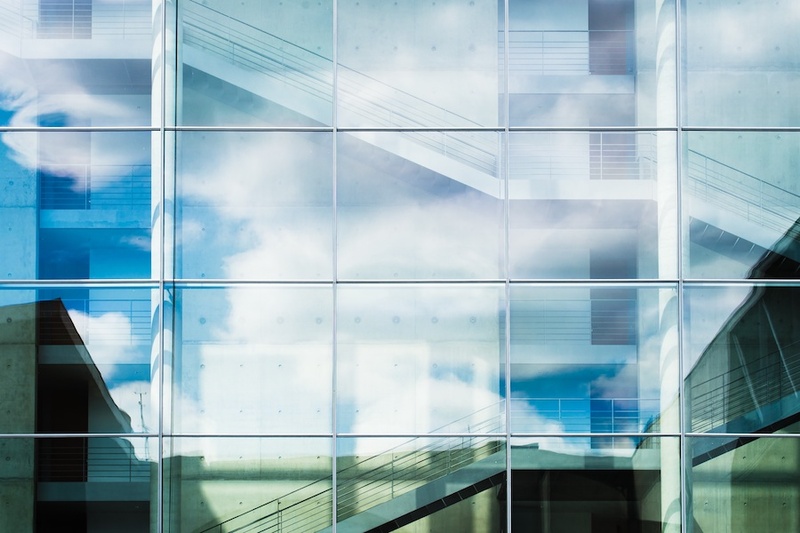 Enterprises have also been burnt by vendor lock-in agreements with big suppliers and as they break down their monolithic legacy code base, they are looking for architectural solutions that might free them from those long-term contract constraints. That’s where choosing AWS is moving from an enabler to a concern. In the U.S., enterprises are more frequently looking at how to stay behind their firewalls to ensure data security. And globally, recent comments by the newly inaugurated U.S. President suggest that international businesses may need to start looking for non-U.S. data storage providers. In Europe, a current consultation on building an open data economy is recommending the reduction in data localization laws. Data localization refers to specific national laws that might require data storage to be located within the country’s borders. For example, Germany has a data localization law for financial technology sector where certain customer financial records must be stored in the country. That gave rise to Microsoft Azure Germany’s product solution to help businesses conform with that regulation. The European Commission’s consultation is currently arguing that such laws slow down innovation and are an impediment for a vibrant tech startup culture. That has raised serious worries for the enforcers of the EU-US Privacy Shield (of which most cloud hosting providers, including AWS, Google and Microsoft, are signatories), which certifies that U.S. cloud hosting providers will adhere to European data protection laws. Last week, EU Justice Commissioner Vera Jourova sought assurances that the Privacy Shield agreement will remain intact. European governments and businesses may start looking for solutions other than U.S. cloud providers in any case. Even for U.S. businesses, the underlying principles of the public security measure may lead companies to want to stay on-prem rather than expose their data to potential government surveillance. Aside from the security concerns, an increasing number of enterprises are also worried about the monopoly positioning of AWS. While impressed by AWS’ innovation capacities which, along with containerization, have helped reinvent much of today’s global application architecture approaches, there are some mumblings that perhaps AWS is taking too much of the pie, recreating the vendor lock-in issues that businesses are only just starting to untangle from their previous IT contracts. Reeder is seeing some of this play out with Lambda. “One of the things we provide is that you are not locked into Lambda. Usually, if you start using AWS Lambda, you are stuck within their ecosystem. If you are using us, you can run functions on any cloud platform or your own hardware. It is the speed of the cloud but on-prem,” said Reeder. IronFunctions allows users to create both synchronous and asynchronous functions, as well as run worker jobs. The platform lets developers create APIs, microservices and functions and combine those together in applications and also run them as background jobs. “When you think about it, 100 percent of apps have a synchronous component. Then there is the background stuff, but that’s not where you tend to start as a developer. With IronFunctions, you can cover a lot more bases: you can build APIs, build microservices… Functions has an API gateway built into it,” said Reeder. A final driver that is reimagining what hybrid means is cost. Enterprises that have their own data centers want to follow an AWS model themselves and gain more optimization benefits out of the unused portion of their data center assets. This is where Reeder sees an eventual business model coming out of the open source offering. Already the team behind IronFunctions is working on advanced metrics that could work on the platform and be offered as a commercial addition. That can include more granular understanding of how APIs are being utilized as an API may be made up of functions and microservices endpoints, allowing much deeper insights into what API calls are being made, which could help businesses to innovate on their public and partner API business models. As IronFunctions moves towards its General Availability launch date by April this year, the platform is expected to consolidate. Reeder’s roadmap is to keep IronFunctions main core solid and simple, with additional functionalities offered as extensions, plug-ins and add-ons rather than inherent platform features. Given its potential use in hybrid and on-prem, the focus for now is on making sure it works within OpenStack environments. Already, when certain events occur in an OpenStack architecture, Functions can trigger actions, in the same way that in Amazon, adding a row to a DynamoDB database or uploading a file to S3 might trigger a lambda function to carry out some task in the background. Beyond OpenStack, there are already scripts to fire up an instance of IronFunctions within the Kubernetes and Docker Swarm container orchestrators, although Reeder also has sights on building those more formally. Iron.io aren’t the only ones trying to move to where enterprises are redefining what hybrid means to them. Replicated, for example, is built for SaaS providers who are looking to add enterprise-grade features and offer deployment to enterprise customers behind the firewall, running in the company’s data center or private cloud. Kontena provides tooling to run containerized applications on any cloud infrastructure or on bare metal servers. Where hybrid was often seen as a way to allow enterprises to take their first steps towards cloud, solutions like IronFunctions and this new breed of hybrid cloud management products are helping redefine hybrid not so much as a progression towards cloud-based, but as a destination in itself, or even a way to bring the advantages of cloud back to a company’s data center hardware. Iron.io is a sponsor of The New Stack. Feature image: by Michael Murphy via Unsplash.